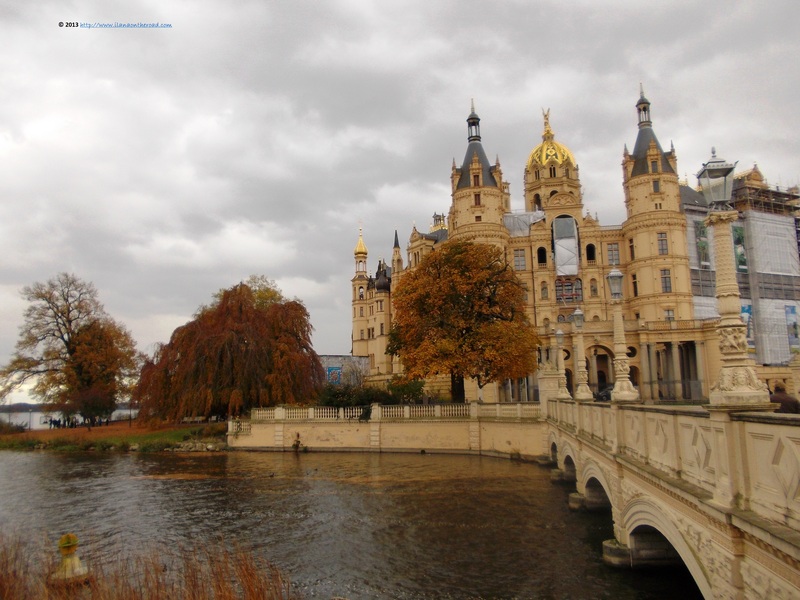 I rarely have one single objective in mind when I visit a city, but as my trip to Schwerin was booked only 2 days before and did not have too much time to spend, I didn't look for anything else than the Castle. For a little bit, the fate tried to counter my plans: I had a 75 minute train delay - but the free coffee and the promise of a partial reimbursement diminished the tension, plus a couple of rainy showers. But when I want something so much, nothing can stop me! I get to know the city through a little tour of the area around the lake near the Arsenal. Even though I spotted some tourist buses, all of them were heading to the castle so with the exception of seagulls, nothing bothered my first date with the city. As usual, I preferred to follow some hidden streets: followed August Bebel street for a couple of houses, and then Puschkinstrasse, till I arrived to Munzstrasse and Grosser Moor street, with a lot of art galleries, fashion and design shops. Everything was closed, but the rest was well deserved, after a full night of cultural happenings. A literary festival was ongoing, but I did not see anything taking place during my day. 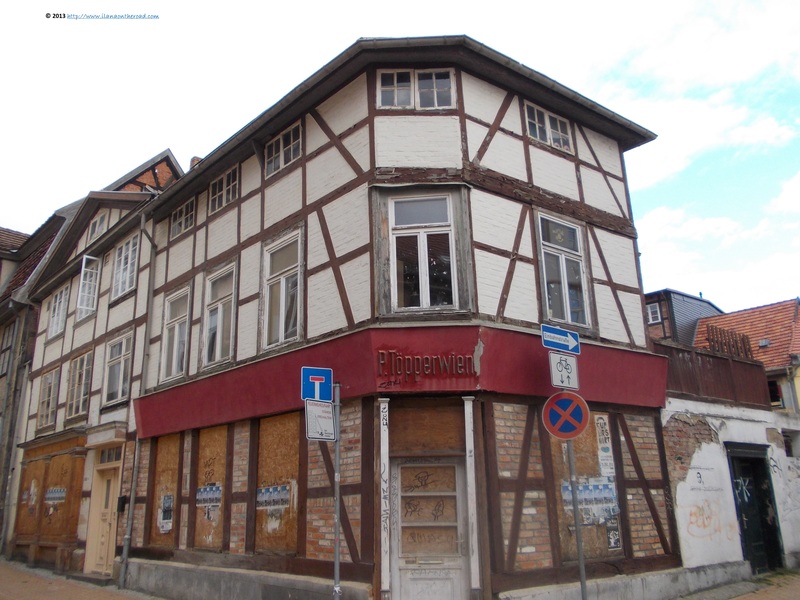 Many of the shops from the old part are hosted in old buildings, part of the local cultural heritage, and half-timbered houses are often used for private accommodations. Without acknowledging, I arrived close to the castle, but I wanted to taste it only at the end of my trip. You keep the dessert for the end of the meal, isn't it? So I wanted to increase my appetite visiting the exhibition of Dutch and Flemmish painters hosted by the local art museum. 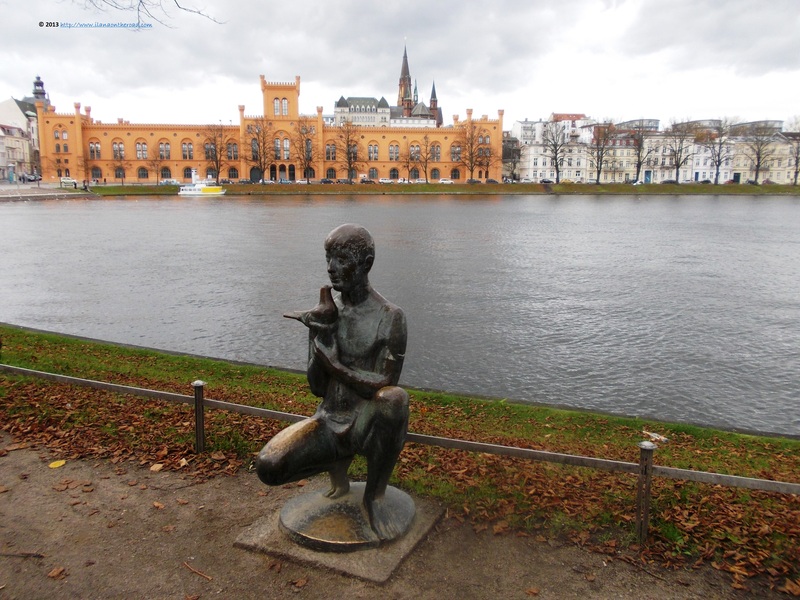 As this Schwerin institution hosts the most important collection of this kind in Germany, I had what to see for the next hour and the beauty of the Dutch art made me very happy and hungry for more. With so many big buses of tourists heading to the castle, no wonder that it was so busy and in some rooms not easy to move. The castle was initially built in the 10th century, but went through various changes and renovations, the most important occurring in the 19th century, after the castle was chosen as a residence of the Duke of Mecklemburg. The main conception belongs to the Berliner architect Georg Adolph Demmler, a brilliant student of Schinkel. The source of inspiration were the Loire Castles, especially Chambord. 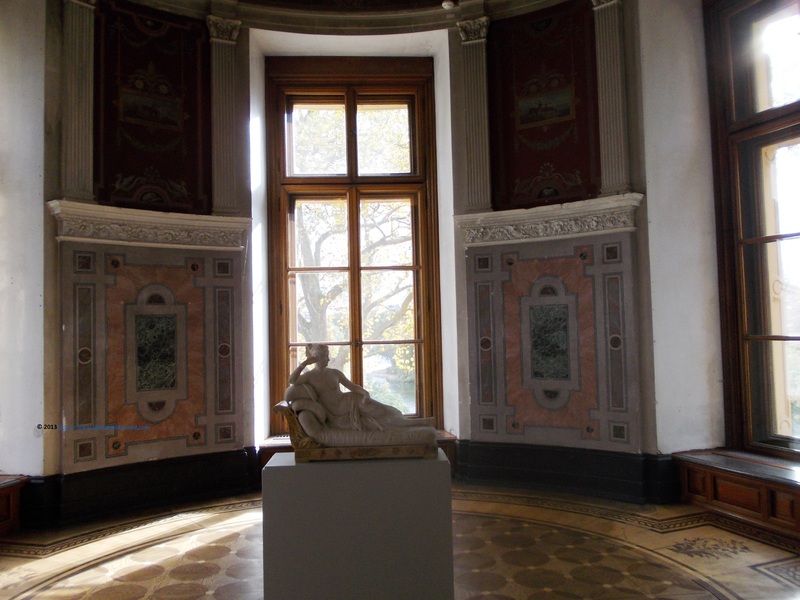 Even though I was not extremely impressed by the interior of the castle - big rooms, but a lot of wasted space - except the fine Italian marble bathed by the sun light entering through the portioned windows, I enjoyed its architectural presence. Looked from outside, it sent strength and fragility, delicate lines finishing by strong towers. I finished my tour in time in between two rain showers. 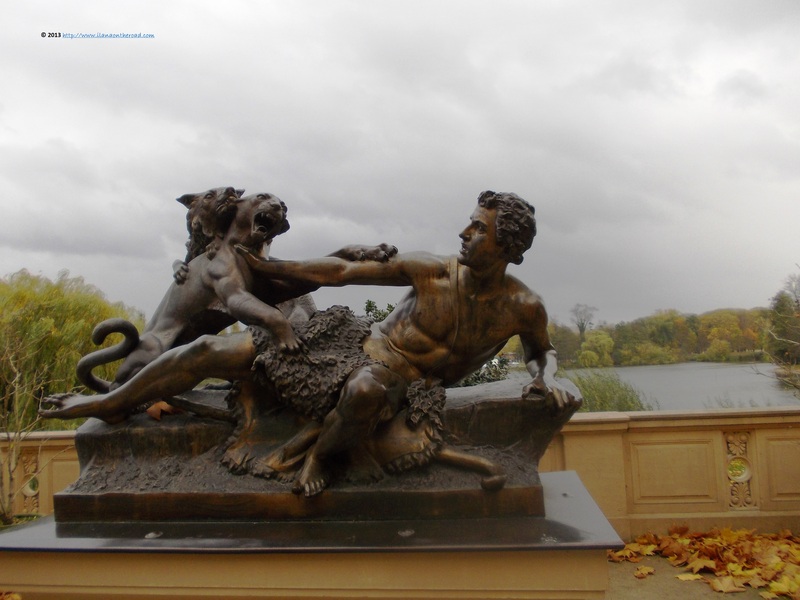 The interesting statues added more strength to the overall perception of the castle. The gardens were designed by Lenné, in the usual Prussian spirit of order and symmetry, with a bit of beauty in the most unexpected places. 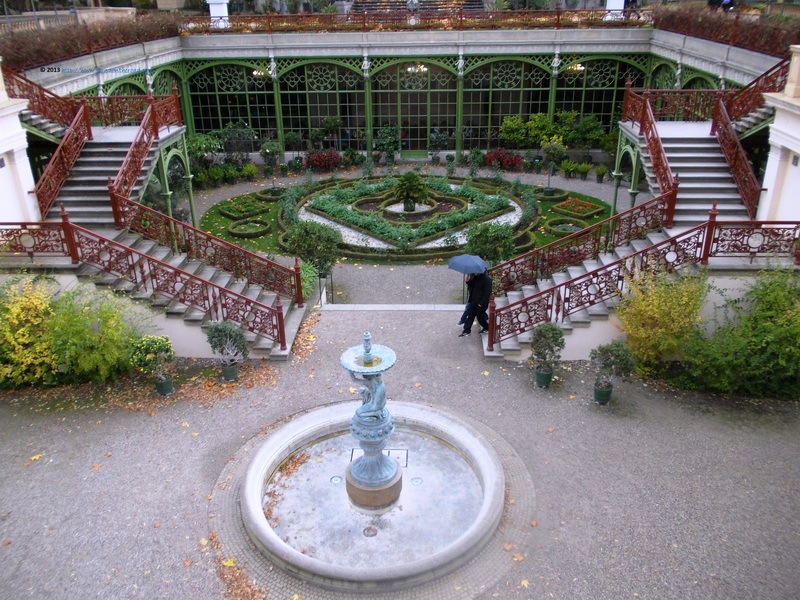 The Orangerie, a cast iron construction beneath the terrace, was restored in 2001. It was still green, but I can imagine the beauty of flowers early in spring. I had another look at the charming corner and hurried up to the train station. My spontaneous decision to spend the Sunday here was excellent, but I may want to return another day to see more flowers and eventually to take a tour of the lake.